Want the comfort of cookies, without all the calories? Stitch this free afghan pattern featuring cream-filled cookies! 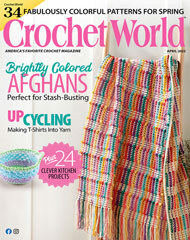 It's easy to crochet and made with worsted-weight yarn. Finished size: 35" x 45". Make it for the sweets lover in your life!